Passover is my favorite excuse to bake decadently rich flourless chocolate cakes. This year, I wanted to lighten things up a bit, so I decided to add almond meal to my standard flourless chocolate cake. The result was a happy surprise. 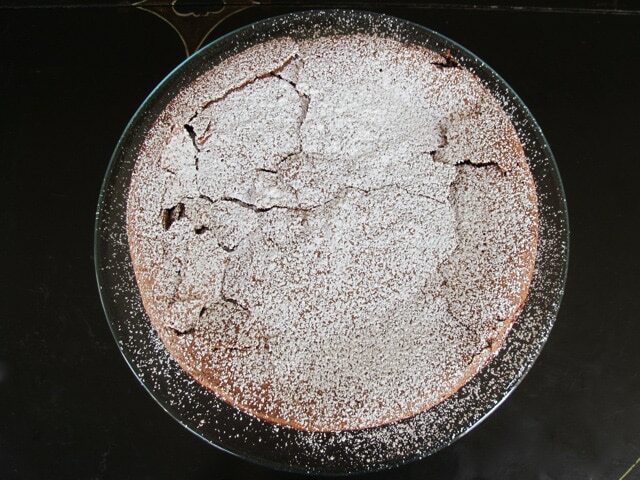 I call it my Chocolate Crackle Cake! This is my last Passover recipe for 2011. On Friday, I’ll be posting a holiday recap with links to some of my favorite Passover recipes from the past two years. 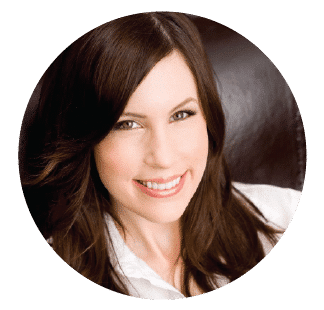 I hope these blog posts have been helpful to you as you plan your Seder menu and a week of Passover meals. Looking forward to doing it again next year. Sending you all a big hug from the heart of Israel! Note: If making for Passover, make sure all ingredients are approved Kosher for Passover. If you can’t find Passover powdered sugar (aka confectioner’s sugar), you can easily make your own by combining 2/3 cup sugar with 1 tsp potato starch in a blender – blend on high speed until powdery. 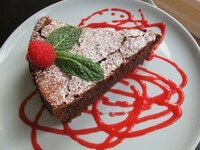 Chocolate Crackle Cake with Raspberry Coulis - scrumptious cake with refreshing raspberry sauce and fresh mint. Kosher for Passover, Gluten Free. Note: If making pareve/dairy free, sub margarine, dairy free bittersweet chocolate, and unsweetened almond milk for dairy ingredients. If making for Passover, make sure all ingredients are approved Kosher for Passover. If you can't find Passover powdered sugar (aka confectioner's sugar), make your own by combining 2/3 cup sugar with 1 tsp potato starch in a blender - blend on high speed until powdery. 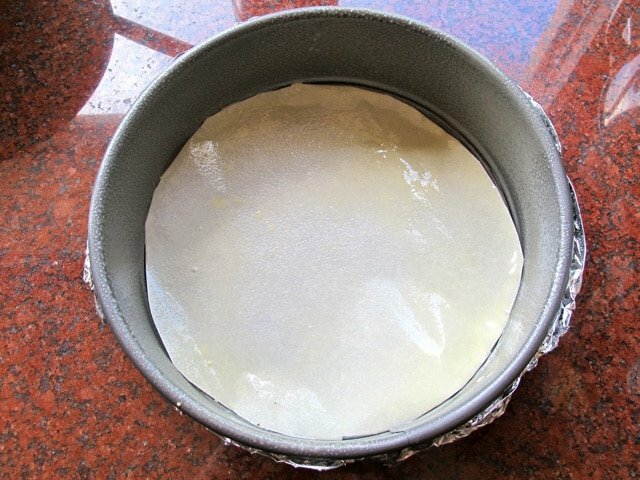 Preheat oven to 350 degrees F. Line the bottom of your cake pan with parchment paper. Grease the parchment paper and inner walls of the pan with nonstick cooking spray. Melt the butter or margarine in a saucepan over medium heat. 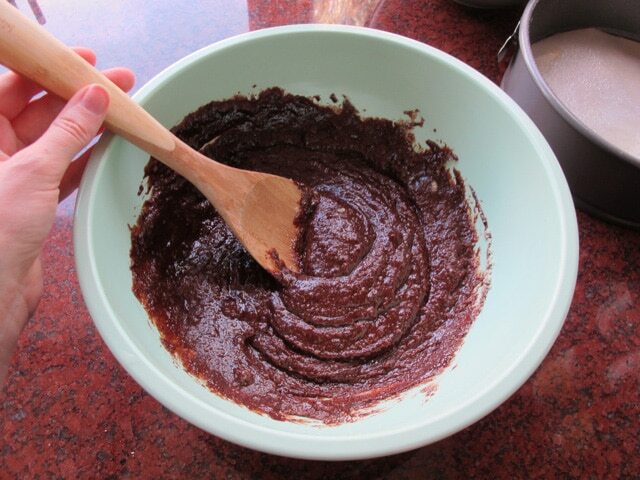 Cut the chocolate into large chunks and add it to the pan. Stir until melted. Add milk or almond milk, vanilla and salt and stir until everything is melted together and smooth. Remove from heat. 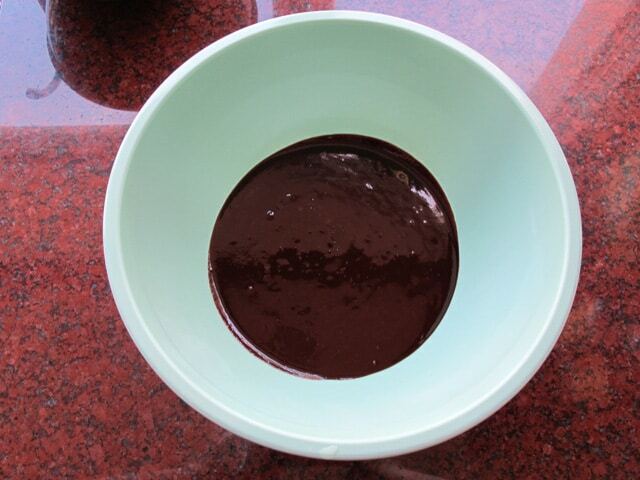 Pour chocolate mixture into a large mixing bowl. Separate the eggs. 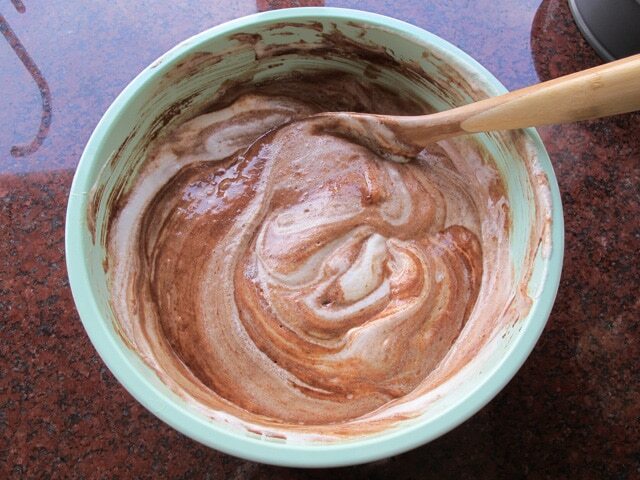 Using an electric mixer, beat the egg whites along with ½ cup of the sugar until soft peaks form. 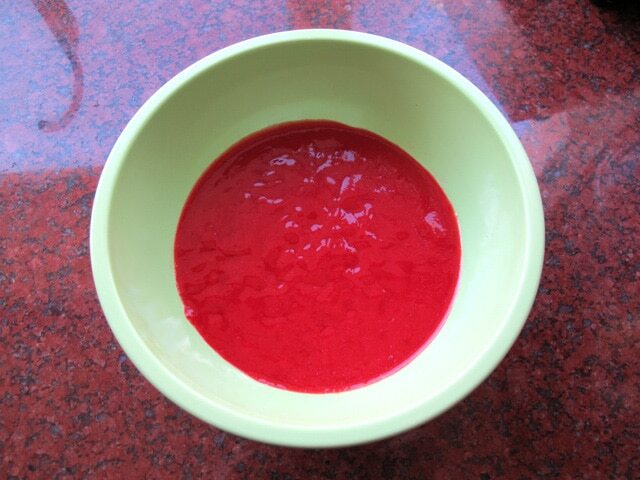 In a separate bowl, beat the egg yolks with the other ¼ cup of the sugar till the mixture turns creamy and light yellow. Break up any chunks in the blanched almond meal with a fork or your fingers, then fold the almond meal into the melted chocolate mixture. 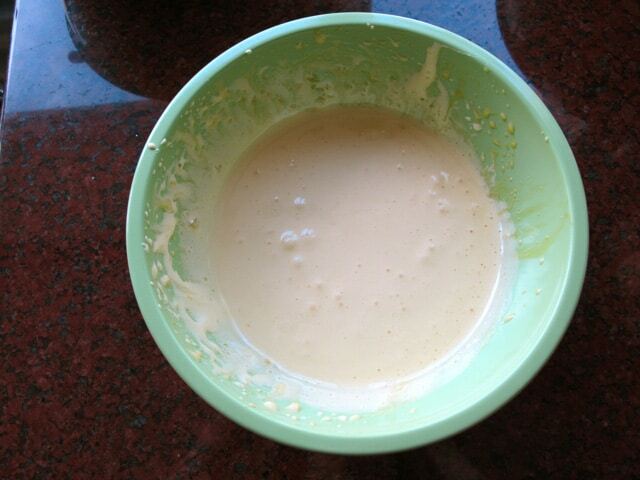 Fold egg yolk mixture into the batter. 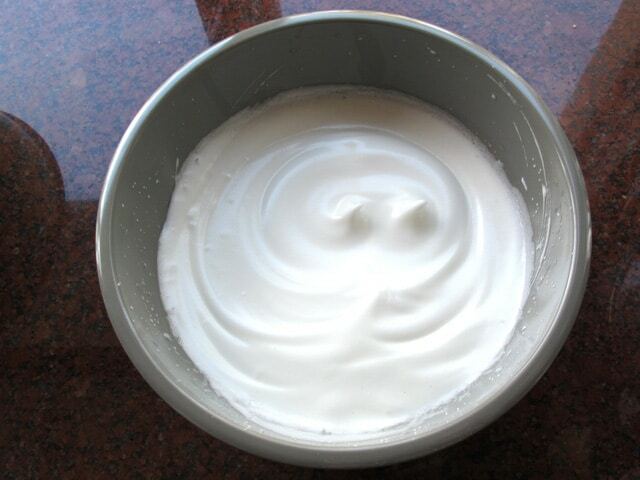 Fold half of the beaten egg whites into the batter, then fold the remaining egg whites until just combined. Mixture should be light and airy from the egg whites. Do not over-mix. 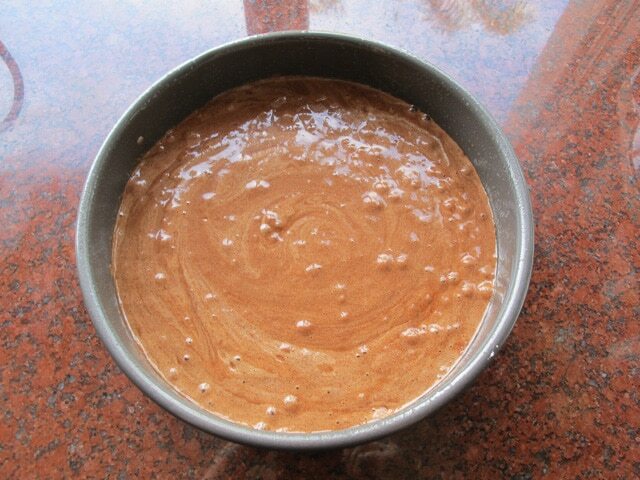 Fill prepared baking pan with chocolate cake batter. 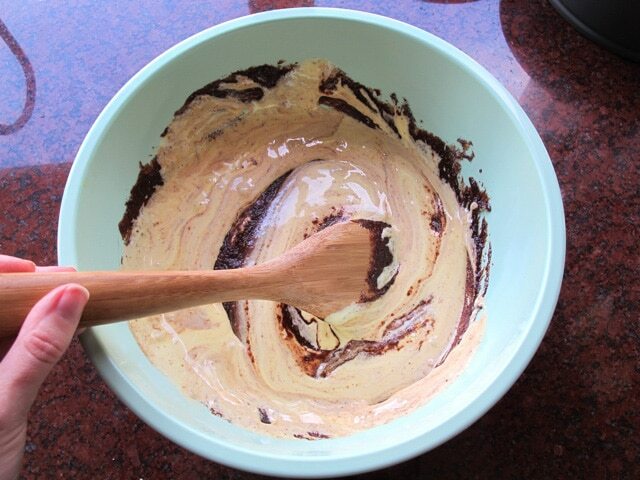 Smooth the surface of the cake with a spatula or spoon. Place in the oven and bake the cake at 350 degrees F for 45 minutes, or until a toothpick inserted into the cake comes out clean. Remove cake from oven and let it return to room temperature. Cake will deflate slightly and the top of the cake will “crackle” as it cools. If you prefer a cold dessert, chill cake in the refrigerator overnight. Before serving, dust the top of the cake with powdered sugar. 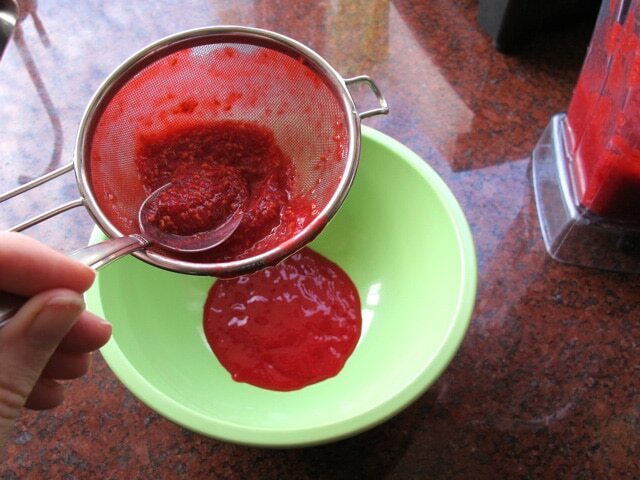 Combine raspberries, sugar and lemon juice in a food processor and puree ingredients together. 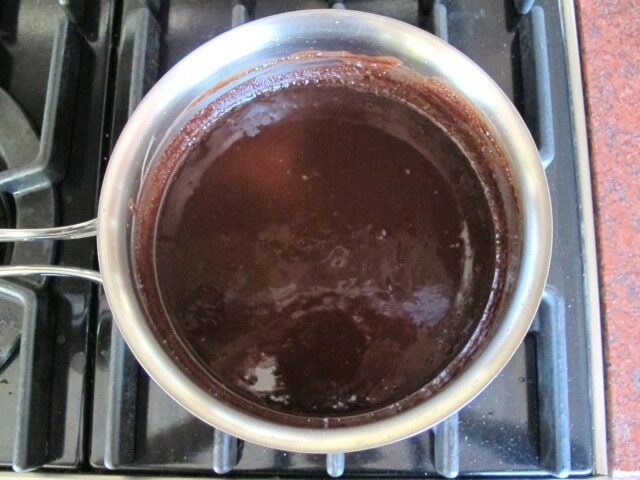 Strain mixture into a bowl through a fine mesh sieve, pressing down on the solid ingredients and agitating the mixture to extract as much syrupy juice as possible. Dispose of the solids. The syrup is your coulis. 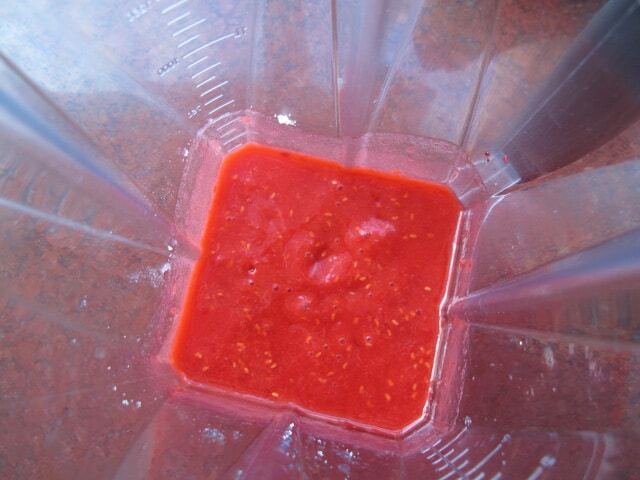 Store coulis in a sealed container in the refrigerator. Use a long sharp knife to cut the cake. Place each slice on a dessert plate drizzled with raspberry coulis, garnished with fresh raspberries and mint leaves. I hadn’t made a cake in years and was charged with bringing dessert to the family Seder. This cake was simple to make and absolutely delicious. I will definitely make it again, even when it isn’t Passover. Thank you! OMG, SOS call! I added the sugar to the egg whites. I am using a hand beater. The whites are not coming together! Hi Barb– sorry, I was cooking my own Seder when this comment came in. Did they ever come together for you? It can take a while. Also if any small bit of yolk made it into the whites, or any water in the bowl, you will have trouble getting them to soft peaks. Hope it turned out ok! For the bittersweet chocolate – unsweetened or sweetened? Thanks! What can you use for Passover To substitute the almond flour for nut allergies? Can chia seed eggs be used instead of regular eggs for egg allergy? We have both allergies and i am trying to make good egg and nut free desserts. More info on egg substitution here: https://toriavey.com/how-to/2014/01/how-to-make-a-vegan-egg-substitute/ For the nuts, you might try matzo cake meal. I haven’t tried it but I’m thinking it would probably work here. It annoys me that lot of people put stars before they try the recipe. So here I come with 5 deserved stars because the cake is so yummi that my 2,5 years old asked more and more. I put regular ground almonds and almond milk. I burnt a little the top so I cut it off and put canned pineapple pieces, the juice all over and covered with whipped cream. 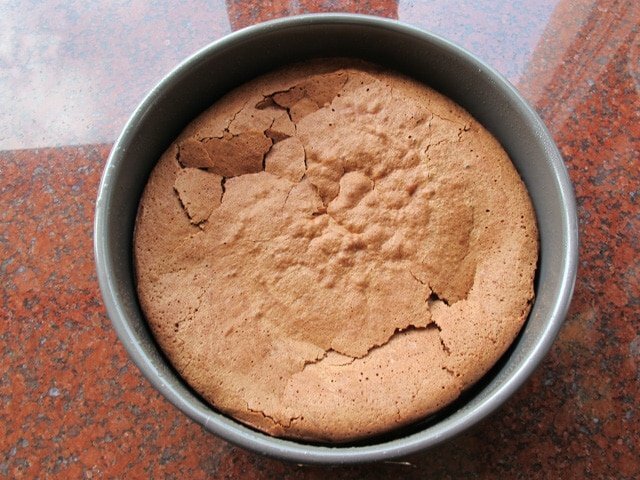 Great cake not only for Passover that I will recommend and make again. AND try other recipes… Thank you, Tori! Can Almond flour be substituted for blanched Almond meal? Thanks Tori! Eileen, yes it can, they are basically the same thing. Almond flour is more finely ground, but otherwise identical. 🙂 Enjoy! I’ve made this cake for two Passover Seders, and it’s wonderful. However, this year, it will just be the four of us, and the whole cake will be too big. Do you know how long to cook this cake if I make it in a smaller Springform pan or in individual Springfirm pans (if they exist)? Hi Suzy, wish I could help! I’ve only tested this in the pan size listed. You can always test the cake for doneness with a toothpick or skewer in the center– if it tests clean, it’s done. Good luck! I made this cake for Passover…it was HEAVENLY! Your instructions made it easy to get this cake right the first time. Thank you! This is now my “go to” cake! Yay!! I love this cake too. So happy it turned out great for you! I wondering if I could freeze this? 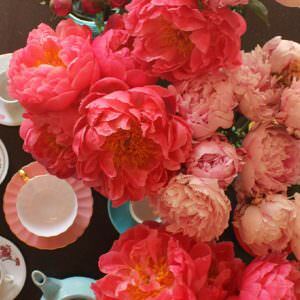 We are going out of town for the first night of Passover and I would love to make this ahead of time for the second night. Hi Laurie, I’ve never frozen this cake so I’m not sure how it will turn out. It would probably be fine, but I don’t like to make any promises till I’ve tried it myself. The top “shell” of the cake is somewhat delicate, which may be problematic when defrosting freezing… I can’t say for certain. Great idea…will do it on my own! Just found it on internet, so easy to do! Tx for the tip!! Hag sameah! I believe that Lieber’s came out with a Passover hechsher almond milk last year, they may do it again this year. I’ll update this thread if I see it or any other Passover almond milks out there this year. My family isn’t kosher, so I’m not worried about a P hechsher, but I do shop the kosher markets regularly so I’ll keep an eye out for it. 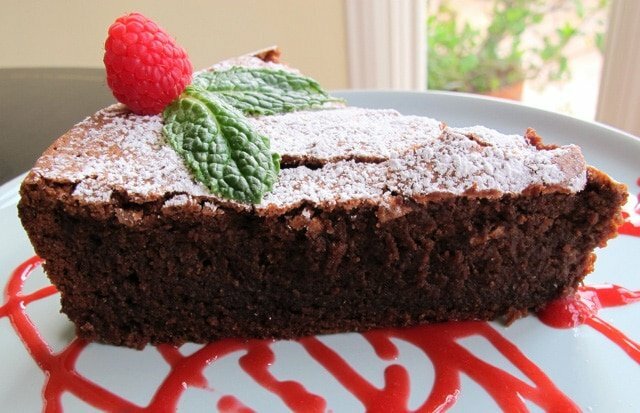 I saw this recipe from your passover menu suggestion and I would love to try this cake for passover – however it seems your recipe is dairy even with almond milk (which is not dairy actually, but they sell it with OU,D – because made on heated equipment also used for dairy products – so that makes it a problem… 🙁 ….) and because on passover eve we eat meat and keep kosher this makes it a problem. Maybe you could let me know what is best to use as substitute instead?!? – thanks!!! My son-in-law is allergic to nuts. What can I use instead of the almond meal? I really enjoy the layout of your site, it’s so easy to find things. And every recipe of yours that I’ve tried has been just great. I’m making this one for my gluten free girlfriend this weekend, and I know it will be great because your recipes are always great. Thank you! Great recipe. I used the Trader Joe’s almond meal (which was suggested in an earlier post) and the raspberries looked nasty at our market, so I used strawberries. I made this along with the Pecan Apple pie and and they were both hits. It was so good, I’m going to make this again soon, because I have leftover almond meal, but I’m not going to make it Pareve. I think regular milk and butter will round it out a bit more. I so look forward to your weekly emails! I’m going to try your Smoked Papriks Chicken soon! Made this cake and the coulis for my birthday which fell on Passover this year – absolutely delicious! I will be making this again soon – not during Passover – it is that good! The cake was delicious, was like a fudgey brownie. Seder was at my sister in laws house, so I left the cake in the baking tin and plated it there. Served it with strawberries, though (for a dairy meal) a thin vanilla sauce would have been tasty with it I think. Thanks for the recipe, so happy I found your site. I made this cake today with my ten year old daughter for Passover. It looked exactly like the photo, and was absolutely fabulous! Everyone loved it, and my daughter and I had a great time baking it. It was so easy and delicious. Thank you! Mitsuyan! That is what I was planning to do, using a coffe grinder to get the consistancy, Thanks for reminding me not to take them too far…PB is not on the menu! Toda Raba ve B’shana haba’a…. I Just discovered your site about an hour ago and am thoroughly enjoying recipe hopping here. I was planning to make a very similar recipe for a chocolate torte in the morning, but yours sounds yummier and is more detailed. Will ground almonds be ok to sub for the meal do you think? I have everything else it is just that element I am concerned about. Chag Sameach! Chag Sameach Nicola! 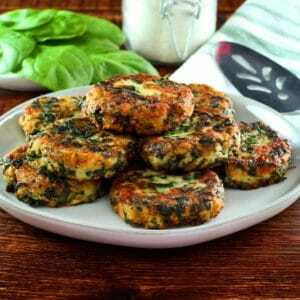 Do you have a food processor? Are the ground almonds blanched (no skin)? If yes, then you can make your own almond meal by pulsing the ground almonds into a fine powder in the processor. Just make sure you don’t over process, or you’ll end up with almond butter! the recipe looks fantastic! just wondering if i can use matzah cake meal instead of almond meal (bc of allergies)? thanks so much and chag sameach! Hi Michelle– You know, I’ve never tried this particular cake with matzo cake meal, but I’m guessing it would work just fine as a sub– it will no longer be gluten free, though. If that’s not an issue, go for it! It should be fine. And please let me know how it turns out for you. Chag sameach to you and yours! I will be making this for the first night of Passover! Can’t wait to try it. Thank you for the recipe. Will let you know how it turns out! Hi Bettina– it depends. Are you making this for Passover? Mocha Mix is kosher, I believe, but it contains soy and corn, both of which are considered kitniyot. Many Ashkenazi Jews will not eat kitniyot during Passover. So, it would depend on how strict you and your family keep kosher for Passover. If you’re not making the cake for Passover, Mocha Mix would be a perfectly acceptable sub! i am going to make this today . i have secured raspberries. Oh the crackle! Great technique! The cakes I make with almond meal never turn out looking like that! Next time around, I’m following your recipe to the T! Is it possible to make this cake ahead and to freeze it? if freezing is a problem, can i make it two days ahead? thanks!! thanks for this great recipe, brought it the seder, big hit!!! Oh, my goodness. It’s such a lovely cake and your presentation is wonderful!! I’m not Jewish, but I love to try other cultures’ foods. Several of yours have made into my cookbook. Please keep up the awesome things that you do; I’ll be waiting. Thanks!! Yumm I can wait to try it. It look delish! Oh my! This looks delicious! Perfect for those of us who eat gluten-free every day. I look forward to trying it. That looks devine! I will definitley have to make this one day. What is meant by blanched almond meal? This rceipe sounds yummy … would love to make this for Passover. You can also find it at many health food stores and chef’s supply stores. It’s becoming more and more common as a GF alternative to flour. If you need a certified Kosher for Passover version, your best bet is to make your own. It’s easy to make and much cheaper than the packaged variety. looks beautiful, can’t say my recipes are as well illustrated. almond meal makes everything better. Sounds delicious! If you don’t have (easy) access to almond meal, what might you substitute? For a non-Passover dessert, would a 1-to-1 substitution of all-purpose flour work? Thanks….I bought Almond meal at Trader Joe’s and wasn’t sure what I was going to do with it. I’ll give this a go and let you know!